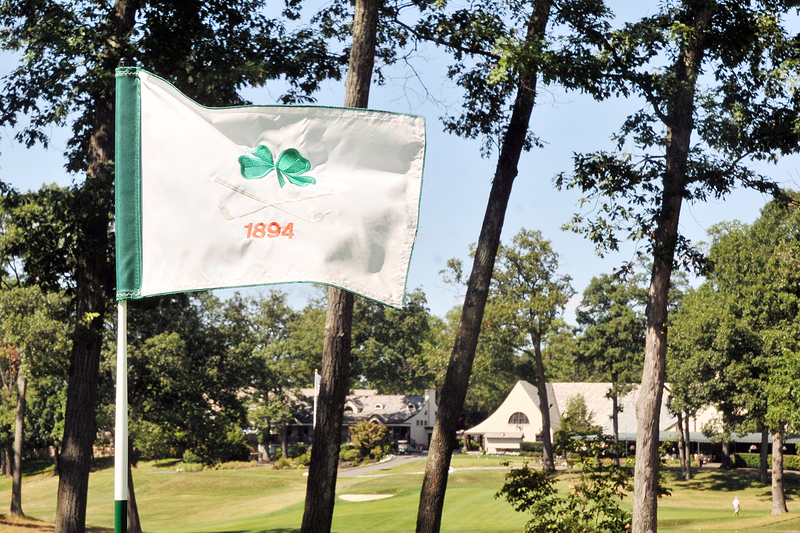 Morris County Golf Club, built by course architect Seth Raynor in 1916 and founded in 1894, will test New Jersey PGA Professionals this week at the Greg Norman Match Play Championship. The three day event includes 64 players from the Section. The top 32 players from the 2016 OMEGA Player of the Year standings were exempt from qualifying. “The membership take pride in hosting events,” John McCarthy, head professional at Morris County said. McCarthy has already played well this season. The 42-year-old was a runner-up in last week’s Cutter and Buck Head Professional Championship at Alpine Country Club. His assistant, Craig Smith, was a quarterfinalist at the Match Play Championship last year. Though the course measures to around 6,500 yards, McCarthy says its length can be deceiving, with blind tee shots on nearly every hole. During the offseason, its 9th hole was renovated, extending its back tee to play as a par-4 or 5. One of the most difficult holes on the course is the par-4 7th, nicknamed “Big Ben,” which ranges from 450-475 yards. If you miss your approach shot to the green, you may find yourself in a difficult situation in one of the surrounding bunkers. McCarthy says taking advantage of the first five holes may be key to holding the advantage throughout the match. “As you go six through 10 and 13 to 18, you’re kind of trying to just score par,” he said. This is the first time Morris County has hosted a major event since the Fall Finale from 1996-1998.